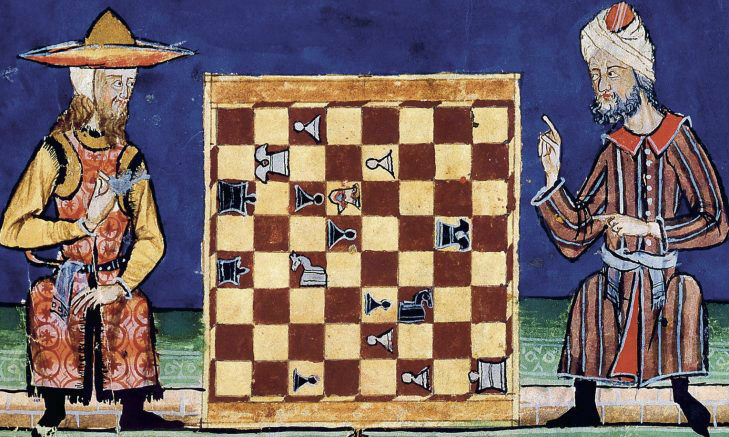 The game of chess has a long history and a rich lore. After all these years, it still hasn’t faded from popularity, so there must be something truly unique and special about it. People are still fascinated with it after all this time, and there’s still new Chess Information coming out all the time. 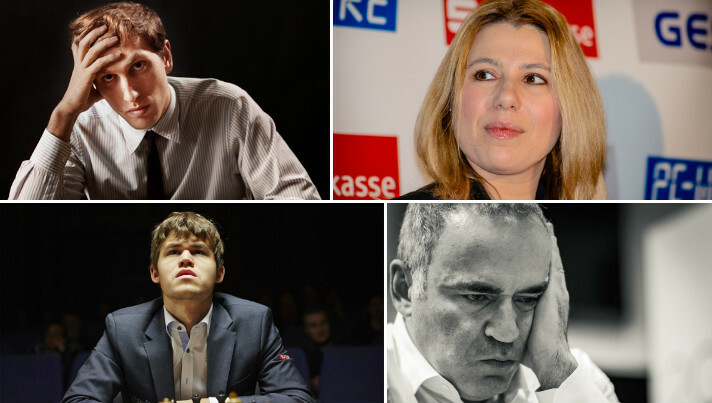 This section collects all of our informative chess articles into one handy place. 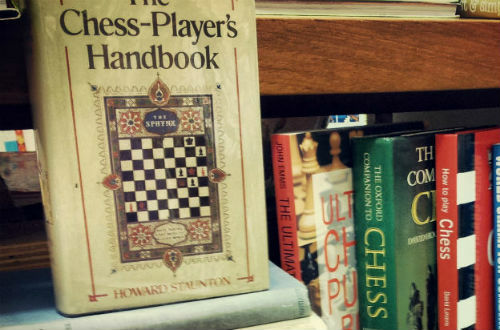 By browsing through this library, you can learn all you’ve ever wanted to know about the wonderful game of chess! It includes lessons on chess’s history, interesting looks at some of chess’s most famous games throughout the years, and even some tips to help you improve your own chess playing. If you’ve ever had a question about chess, this is the place to get it answered. Our educational chess information library is regularly updated with new informative articles and updates on chess news, so check back often to make sure that you don’t miss anything! To play chess, you need someone to play against. In the digital age, online chess gaming has made it possible to play people from around the globe. For a truly social chess experience, however, you should join a chess club. 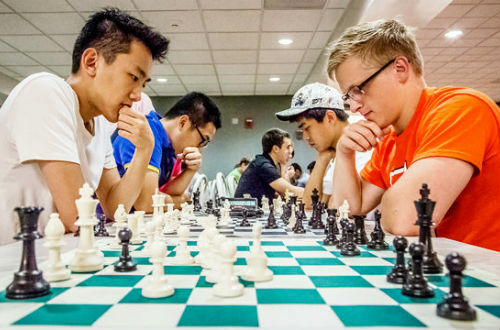 The benefits of chess clubs go beyond simply hanging out with other chess fans. Many clubs offer classes and one-on-one lessons for players who wish to improve their game. Weekly meetings give people the chance to play against a wide variety of people, and tournaments provide the opportunity to face off against players from around the country – or even around the world. Are you ready to experience the camaraderie and competition of taking part in a chess club? 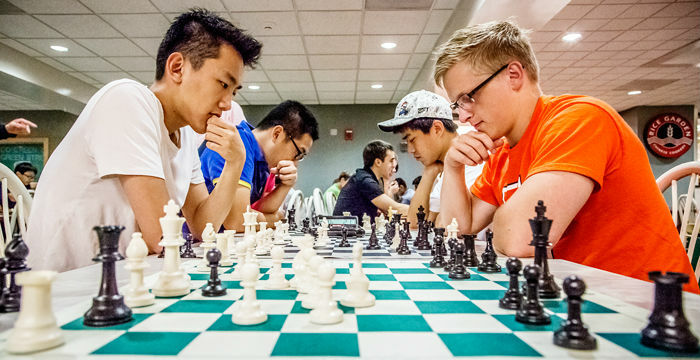 We’ve reviewed the top chess clubs in the world and are ready to recommend our favorites. Check back often, as we’re always adding to our chess club reviews! The world of chess is an exciting one, with a long history that’s just as mysterious and hard to nail down as perfecting the game itself. While many of us enjoy casually learning about and playing chess to pass the time or relax after work or school, there are those who devote their entire lives to the game. For the world’s best chess players, chess is life, and they spend hours every day studying, memorizing, practicing, and playing over and over in a quest to become the top-ranked player of all time. 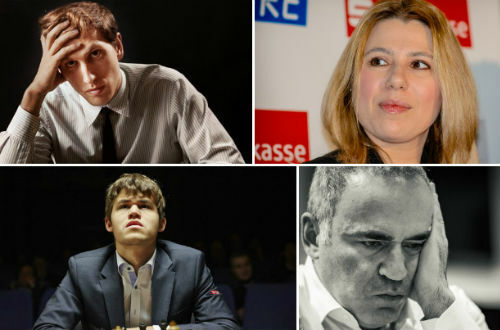 In our Meet the Chess Player section, we’d like to explore the lives of these elite individuals and answer many of the questions people often ask about how they play. Were they born with chess in their brains and blood, or did they become great chess players through practice alone? What interests do they have when they step away from the board? Keep reading to find out more about the players that are empowering and inspiring the next generation – both through their superior performance in competitions and their drive to educate people about chess and increase its popularity around the world. 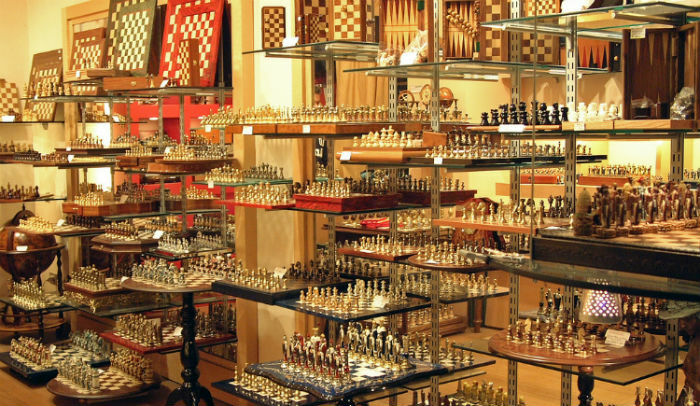 Online chess stores can be a great place to buy chess equipment. You can often find highly unique pieces that aren’t available anywhere else and get the best deals on quality sets in online stores. But some shops are less scrupulous than others, and it is possible to get a ripoff instead of a bargain if you choose the wrong place to shop. Our online chess store reviews are here to help you avoid that problem. By reviewing some of the biggest names online, we can steer you toward the shops that are worthy of your business- and away from the ones that aren’t. Our honest reviews take the risk out of online shopping for you, so you don’t need to worry about getting scammed. To see our top recommendations for online chess stores and check out all that they have to offer, click through any of the links below! You’ll be glad you did. 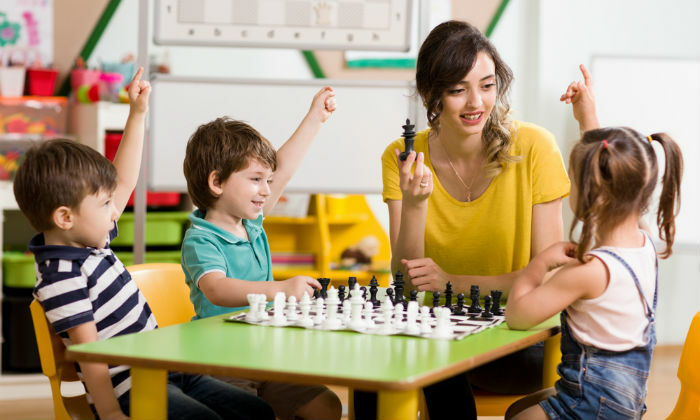 If you’re serious about taking your game to the next level, or you’d like your child to learn chess from an experienced professional, chess schools can be a great resource. They’re typically founded and run by someone who is a strong chess player themselves- maybe even a grandmaster! There are also schools run by famous chess players and players who have achieved excellent results in chess tournaments. Wouldn’t you like to learn from a former chess champion? 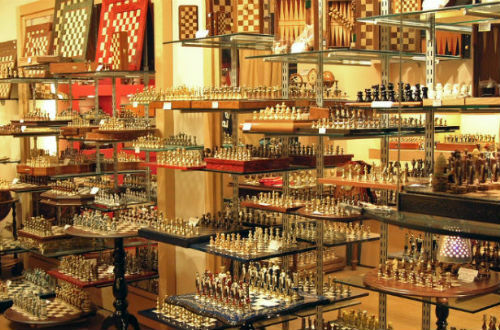 Chess Sets are the “one stop shop” product of the chess world. They include everything that you need to get started playing chess, whether you’re a beginner or a more advanced player. 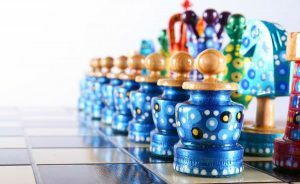 If you’d prefer to buy a matching set of chess pieces, board, and even a storage box all at once rather than collecting each piece over time, buying a Chess Set may be the best choice for you. While Chess Sets do include everything you need to play the game, they typically don’t include a few extra accessories that you might prefer to use to make your gameplay more enjoyable. That would be things like chess clocks or timers, chess tables, or chess computers. But don’t worry, we have guides that can help you find all of those things if you decide to buy them. 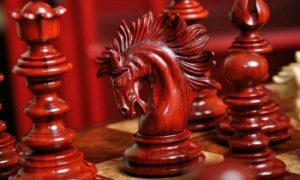 Our library of chess set reviews gives you tons of options for well made Chess Sets for sale at every price point from the budget friendly to the most luxurious, high-end sets. We review wooden chess sets, traditional chess sets, themed chess sets, and many more kinds- but what they all have in common is that they’re great products made with care and quality craftsmanship, and we’re happy to recommend them to our readers. Shot Glass Chess Set: Shot Glass Chess Set – Your New Favorite Drinking Game! Chess boards are, quite literally, the foundation for every game of chess. Things would get very confusing very fast without the simple grid of checkered squares that the Chessboard provides. It may not seem like much at first glance, but when you’re in the midst of a game and want to move your Queen to H3, it would be really helpful to know exactly where H3 is! Any chess lover should have his or her own Chess Board, whether they’re a casual or more serious player. 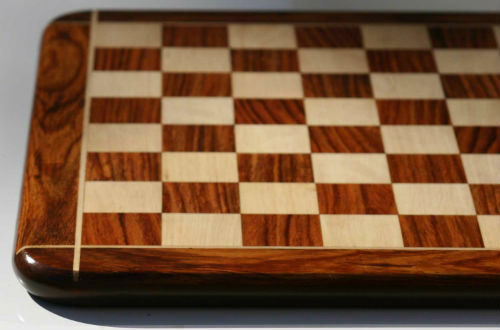 For the casual player, a simple, compact board that stores away nicely could be the perfect thing to spread out on the kitchen table for a rainy afternoon of chess. 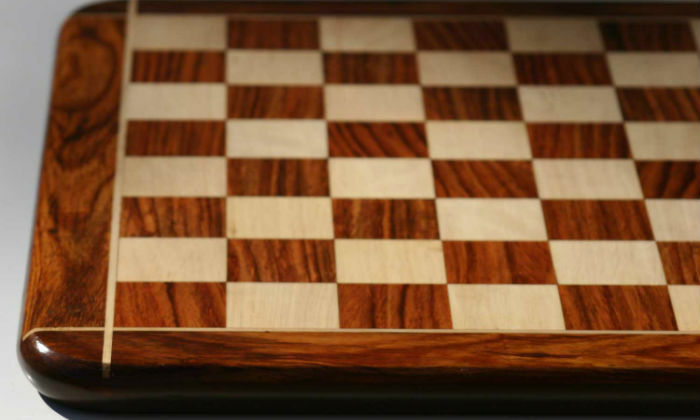 More serious players may prefer to have a stately wooden chess board that stays in a designated place in their home or office and makes a decorative statement. Players who participate in a lot of tournaments will need to have a portable board that complies with all tournament regulations, such as a roll up vinyl board or a folding board. The way you typically play chess will determine what type of chess board is right for you. Luckily, we have reviews on all types of Chess Boards so you can find a reliable product no matter what. Chess Pieces are the part of a typical chess set that can have the most variety. They can adhere to the standard Staunton pattern that is highly recognizable, or they can go in a completely different direction; shaping themselves after historical figures, superheroes, or even dragons! 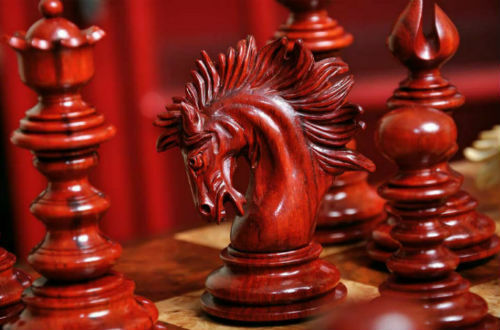 Their materials are almost as varied as their shapes, with chess piece sets available in wood, bone, ivory, marble, stone, metal, and many others! The Chess Pieces you’ll be drawn to is largely a matter of personal preference. If you have another hobby or interest that you’d like to bring into your chess games, you’ll likely be able to find a set of chess pieces themed around that. In our article about themed chess sets, you can see just a few of the options include Mario, Harry Potter, Batman, and Dragons. You’ll be able to find a themed set of chess pieces for just about any interest under the sun. If you prefer something more traditional, though, Staunton pattern chess pieces can also come in several different varieties. They can not only be made of different materials, but different artists may put their own unique spin on the classic pieces. Check out our Chess Pieces guide for our top recommendations. 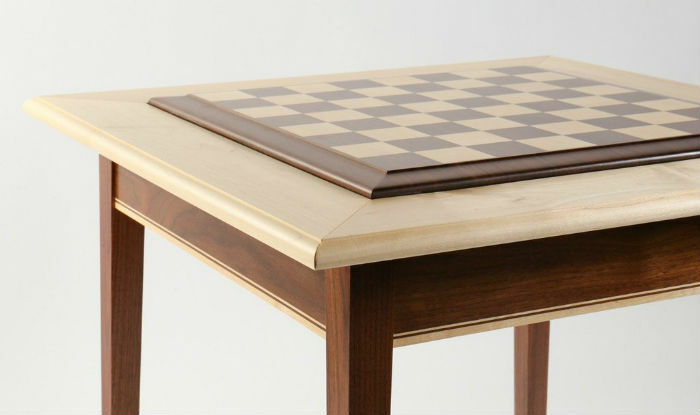 Chess tables make a major statement in any home or office. Not only do they mark you as a dedicated chess player, but they provide an air of luxury and sophistication to any room. They are perfect as a designated chess playing space, or as a gorgeous way to display your favorite decorative or antique set of chess pieces. Chess Tables are like the older, more sophisticated brother of the chessboard. 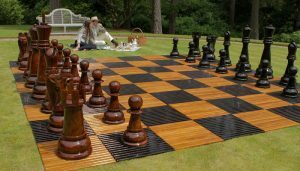 Whereas the chessboard gets the job done and can also look great doing it, chess tables make a show out of looking great and also being functional. They elevate things to a whole new level. Chess tables are a purpose built furniture item dedicated to chess. They have chess boards inlaid on their surfaces, and many include storage drawers to accommodate chess pieces when not in use. Some Chess Tables even have reversible game boards that allow you to play other games like backgammon when you’re not in the mood for chess. Whether you prefer an antique or more modern style, you’ll find something you like among our Chess Table recommendations. We’ve rounded up listings from across the web and reviewed them so that our readers know what’s worth buying. Chess clocks and timers are great accessories that not every chess player thinks to invest in at first. Of course, if you regularly compete in tournaments, you’ll know the importance of a good Chess Clock, but that’s not all they’re good for! Non tournament players can still get a lot of use out of a good chess timer, even if they’re only playing friendly games. 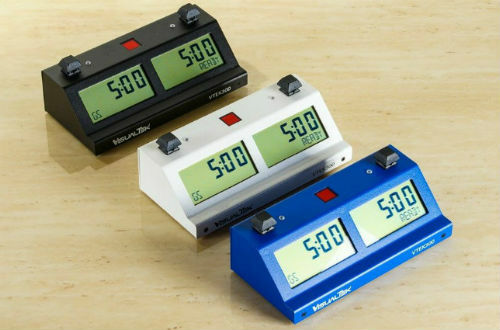 Modern Chess Clocks can provide a lot of functionality beyond simply timing each player’s turns. 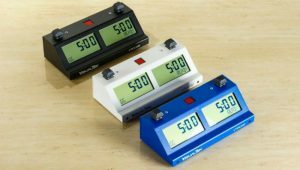 Most digital timers on the market today include several pre programmed settings that allow you to play the most popular game variations and timing systems. Some can even generate starting positions for a game of Chess 960. Analog chess clocks are still being used as well, since many people still admire their timeless design and antique beauty. Though they have more limited functionality than the digital chess timers, they do look a lot better sitting on a shelf or antique chess table. No matter which style of chess clock you prefer, we have the top recommendations for you in our chess clock buyer’s guides. The game of chess is thought to have originated in northern India during the 6th century, and subsequently made its way through Persia. After centuries of conquest, contest, and camaraderie, the game eventually became so pervasive that it can be found in just about any place on the face of the Earth, whether it be a small, secluded village or a bustling metropolis. From humble beginnings, chess became a lasting international sensation, and it’s not likely to be going away anytime soon. By this time in 2019, chess has obviously had a very long history. We won’t bore you with a minute by minute account, but there are a few special events in chess history that are worth knowing about. The first is taking a closer look at the invention of chess in 600 AD. The precursor to modern chess was an Indian game called chaturanga. Arabs travelling through India saw this game in play and developed their own version of it called shatranj, which would eventually evolve into the modern chess game that we all know and love today. Shatranj was played on a game board with an 8×8 grid of squares, with 16 pieces on each side. These pieces included soldiers, horses, elephants, chariots, counselors, and shahs. The game ended when checkmate was achieved, or if all the other pieces of one army were captured, excluding the shah piece. As the game spread throughout more of the world and the rules were told and retold by word of mouth, the game slowly changed, along with its pieces and the lore surrounding them. 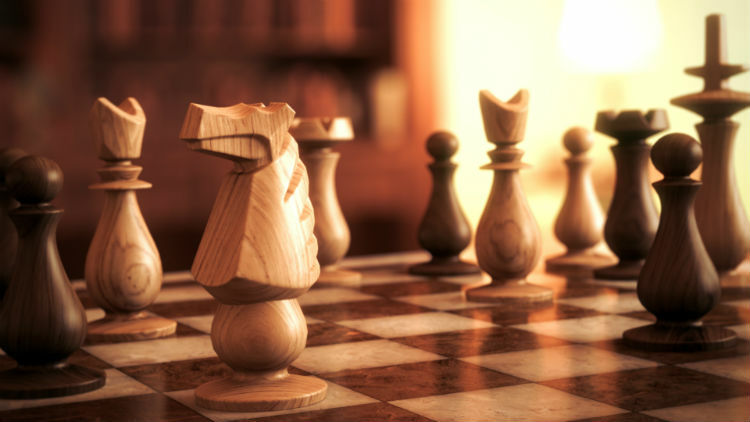 The first ever chess tournament on record was held in 1575, at which point chess had gained enough popularity among the elite to warrant a public competitive event. This was an international tournament, in which Italian players Leonardo da Cutri and Paolo Boi competed against Spaniards Ruy Lopez and Alfonso Ceron in the court of Philip II. Lopez was an early favorite who started out with back to back wins, but the Italians secured victory for themselves by winning the next three games in a row. This informal competition laid the foundation for all modern tournaments, which are a huge part of chess culture nowadays. Tournaments are where professional players make their living, and they are available at every level from beginner to advanced. It’s hard to imagine chess without them! Beginning in 1770, Hungarian inventor Wolfgang von Kempelen dazzled audiences with his Mechanical Turk, a machine that could beat even the most advanced human players in a game of chess. The machine consisted of a chess board, robotic player designed to look like a Turk, and a viewing panel where one could watch the gears and mechanics that powered the machine. The Mechanical Turk amazed onlookers for 84 years as it beat nearly all of its human challengers, including Benjamin Franklin and Napoleon Bonaparte. The machine passed through many hands and was owned by several different people as a show piece until it was destroyed by a fire in 1854. Of course, it was all for show. The Mechanical Turk was not really mechanical at all, but rather powered by human chess masters that hid inside the Mechanical Turk’s compartment and moved their pieces using magnets. Chess masters known to have operated it at one time or another include Johann Allgaier, Boncourt, Aaron Alexandre, William Lewis, Jacques Mouret, and William Schlumberger. It was all a hoax, but it did help to increase chess’s popularity, as well as set the stage for the real robotic chess machines- computers. The next major development in the chess world came in 1849, when the Staunton pattern chess pieces that have become the standard for play today first came into being. They were designed by Howard Staunton, one of the finest chess players of his day and a major advocate for the promotion and spread of the game of chess. He outspokenly called for chess pieces to become standardized in a specific way to give them each a recognizable shape and a stable base. Nathaniel Cook was the one who heard these cries and took him up on it, crafting the first ever set of Staunton style pieces- a style that would become the standard in the game of chess and still be in production more than a century later. Shortly thereafter, in 1861, the first chess timers began to be introduced. Before this, chess games used to go on forever, with some games even lasting more than 14 hours at a time! There was no time limit on turns, so players regularly took long breaks and pauses in between plays, which led the games to drag. No wonder tournaments didn’t happen for so long- who would want to stand around and watch not much happening for most of the day? The first chess timers were simple hourglasses that contained 3 hours worth of sand each. It seems like a lot to us now, but it’s definitely an improvement over the 14 hour game. 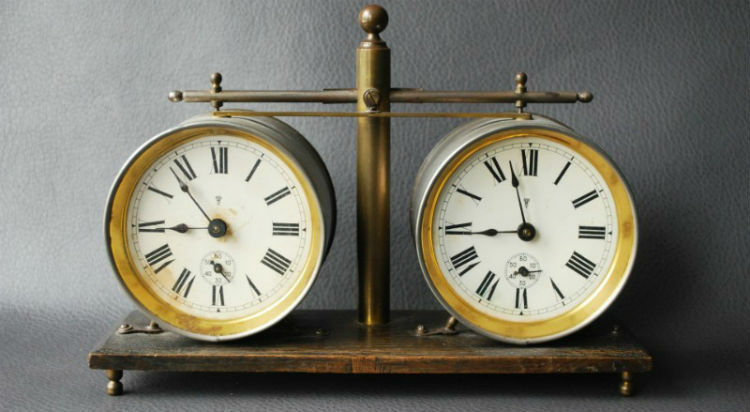 The sand timers eventually gave way to chess clocks with more complicated mechanisms that allowed one clock to start whenever the other stopped. This basic model is still what we have in use today. The most recent advancement in chess clock technology came in 1964, when electronic chess clocks were first introduced. One of the most memorable events in chess history to this day is, of course, the historic match between Bobby Fischer and Boris Spassky in 1972. This is perhaps the most famous single game of chess ever played, and is routinely dubbed “The Match of the Century.” It is well known even outside of the chess world because of the symbolism inherent in an intellectual match between the West and the Soviet Union during the height of the Cold War. Fischer managed to beat Spassky and become the World Champion, despite flubbing his first two games. 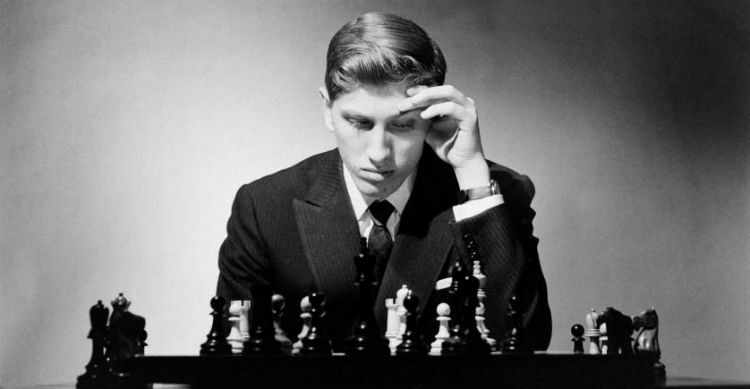 Even though he was certainly eccentric and spent much of his later life out of the public eye, Bobby Fischer is still considered one of the most famous chess superstars there is. Another unique moment of chess history came in 1997, when a computer programmed by a team of Carnegie Mellon engineers was finally able to best the human World Chess Champion. That champion was Garry Kasparov, another of chess’s most famous players. Kasparov had previously beaten two earlier versions of the computer in 1989 and 1996 respectively. The computer, called Deep Blue, was able to calculate 200 million chess positions per second. Nowadays, technology has advanced to the point where any modern chess computer would be able to put Deep Blue to shame. Even though modern chess computers don’t do as many calculations per second as Deep Blue could, they do a smaller number of calculations with greater efficiency and accuracy. For almost 1500 years now, people have been enjoying the game of chess with each other. And over all that time, it hasn’t lost its interest, nor has it been “solved.” In other words, no one has yet discovered one optimal way to play the game as of 2019. Even with all of the computing power we’ve devoted to researching optimal chess strategies and designing strong chess computers, the game remains unsolved. A game that is solved is one in which the outcome can be correctly predicted from any position, with the assumption that both of the players play perfectly. Some solved games include checkers, connect four, tic tac toe, and eve more complex games like kala, awari, othello, and hex. Variants of chess with smaller game boards or fewer pieces have been solved, but it is believed by some that the complexity of the game and the sheer number of possibilities it allows for will preclude it from ever being fully solved. The first move alone gives us over 400 possibilities, and that numbers grows enormously fast. Theoretically, though, because the number of available moves in a chess game is finite (though large) the game should be solvable based on our current understanding of mathematics. But, no one’s been able to do it yet. Only time will tell! Even if (or when) chess does get mathematically solved, though, you won’t need to worry about players losing interest or tournaments becoming a thing of the past. Unlike tic tac toe, where the strategy for winning is rather straightforward and easy to remember, the optimal strategy for chess would be enormously complex and likely require hundreds of terabytes worth of data to express. That kind of storage space just doesn’t exist within the human mind, not even for chess champions. Plus, the strategy also depends upon perfect play from each player. If even one mistake is made, the strategy is all but useless. Chess is a very unique game not only because of the way it’s managed to endure throughout the centuries, but also because it seems to hold a near universal appeal to people of all ages, cultures, and temperaments. We’ve seen already how it crossed cultural borders and spread throughout the entire known world, and it’s also popular with children and adults alike. Schools have chess teams for children as young as grade schoolers, and several chess prodigies have gotten their start much earlier. It’s loved by competitive professionals and casual players alike. Because of this continued intergenerational and multicultural interest, chess doesn’t seem to be going anywhere anytime soon. 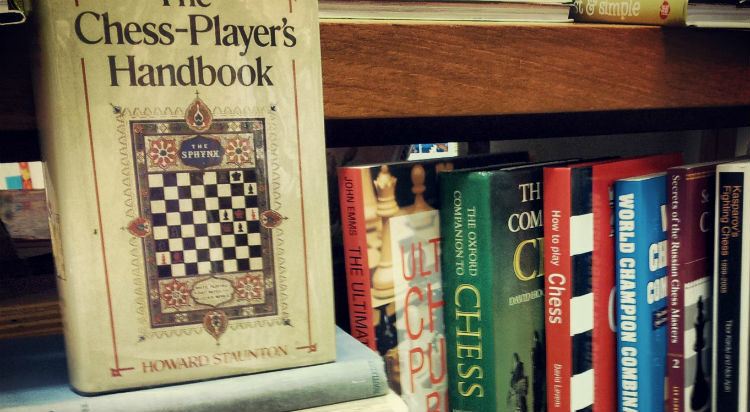 What exactly makes chess such a universally beloved game? Part of the appeal surely lies in the imagination. The ambiguous nature of the classic style pieces can represent, in a player’s mine, medieval heroes, imaginary armies, or even favorite fictional characters. Each game of chess could play out like an epic battle in your mind’s eye. The other thing that keeps chess players coming back again and again is the fact that, while the game and its rules are easy to learn, it is exceedingly hard to master. There is always room for a little more improvement, even for players at the very highest levels of the game. In this way, players never really feel like they are “finished” learning about the game, since there is always something new to strive for. There is also no element of chance in the game of chess, so the outcome of any game depends on the skills of the players alone. You can’t rely on a lucky dice roll to secure your win, you have to keep practicing and put in the time to hone your skills. The game also has a high level of replayability, meaning that each game that you play, especially against a different opponent, will be unique enough from the last game to still be interesting. Because of the extremely large number of possible moves in a single game of chess, you’re not likely to get bored with it anytime soon. 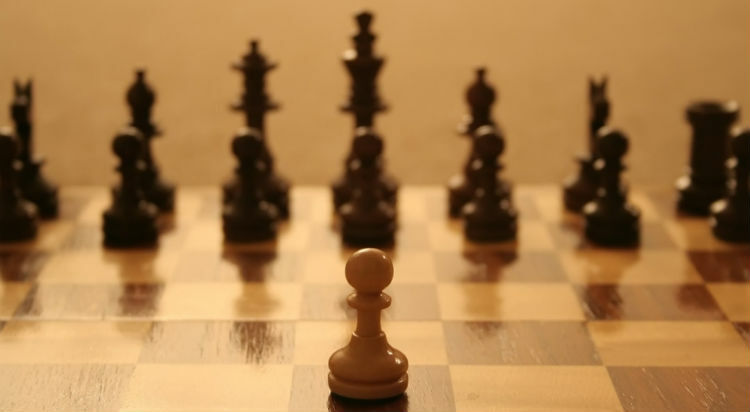 In fact, there are more possible board positions in one chess game than there are atoms in our whole entire universe! Let’s talk a little bit about the metaphorical aspects of chess. The detailed pieces prime the imagination for a rich game lore, so you may be wondering, what are all these figures supposed to represent, exactly? They are actually each steeped in their own symbolism. Chess, though often portrayed as a war game, is at its heart a game of court intrigue. All the pieces are engaged in a political power struggle, with their goal being either to protect their place in the hierarchy, protect their King’s claim to the throne, or subvert the current King and install their own. The King, of course, is more of an objective than a legitimate player in the inner game of chess. He seeks only to protect his throne and expand his holdings where possible. If he is captured, the game is over. The Queen is a bit more interesting. She may choose to use her considerable power to protect her King, maybe even sacrificing herself for him, or she may choose to aid his enemies in supplanting him! The Bishop represents the church, which in Medieval times was possibly even more powerful than the monarchs themselves. No one can stay in power for long without the support of the Bishop. The Rook is a castle that symbolizes the Noble class- those who aren’t quite rulers but also definitely not peasants. These are the generally important people who control a lot of resources and have a lot of influence. You need them on your side to have a strongly supported monarchy. The Knight represents Knights, of course, and the more elite forces of the military. They are skilled warriors, often from Noble families, who command each King’s military forces. They serve to protect their King and secure enemy resources (pieces) for him. The King needs absolute loyalty from the Knight, as things would not be good if they decided to turn against him! Finally, the Pawns represent the basic infantrymen in service of the King. They are commanded over by Knights. They are not very powerful on their own, but if they work together well, they can be quite a force to be reckoned with. Also, if you work hard enough as a lowly soldier, you can eventually get a nice promotion. So that’s the rundown on the “inner” game of chess that happens within each regular game of chess. Of course, in a perfect game, players would never have their own pieces playing against each other. Like having the Queen betray her King, for example. But of course, mistakes do happen and people get outplayed, so the lore provides a way to explain that sort of thing which adds to the overall interest of the game. You may not have known about it before, but there is a lot that can be learned from a simple chess game! Next time you watch a game of chess, keep in mind the roles each piece plays and try to come up with an explanation for every move that advances the storyline. You’ll see the game in a whole new way, that’s for sure. The culture surrounding chess has been very different in each, well, culture! For example, in Arabic countries, chess is considered a historical Arabic game and it is played widely in almost every city as a way of keeping a bit of their ancient culture alive in modern times. In Russia during the Cold War, chess proficiency was considered very important as a way to prove that the Russian people were intellectually superior to Westerners. A huge emphasis was placed on chess skills, and children began to be taught rigorously at young ages. Because of this intense, nationwide focus on enhancing chess skills, Russia dominated chess championship tournaments for much of the mid to late 20th century. Nowadays, the prevalence of the internet has made chess culture a bit more homogenous across the globe. 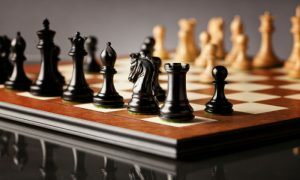 Now, chess enthusiasts can connect online from wherever they are and play games together. There’s less of a need for chess groups to meet in person. This is great news for chess lovers who live in more remote places without active chess clubs, but it has also possibly contributed to a downturn in local chess clubs where people meet up to play face to face. When you’re able to get your chess fix online whenever you like, there’s less incentive to try to organize a weekly chess meet with other people in your area. That being said, all official chess tournaments do still take place in person, and they draw competitors and spectators from all over the world. These tournaments offer a great opportunity for chess players of all ages and skill levels to meet and share strategies and ideas. Lifelong friendships are often forged in places like these, and new tips and skills are always picked up. World Chess Championship tournaments are usually held in large cities like New York City, Sochi, London, Chennai, Reykjavik, Mexico City, and others. Smaller tournaments can be found in cities and towns all over the world. Check messageboards and ask like-minded friends to find out if there is an active chess group near you. To find out about local competitions, you can check the official website of the World Chess Federation. It’s true! 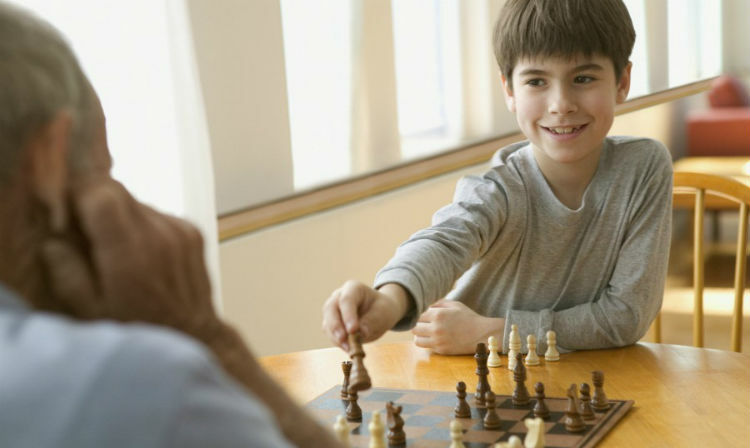 Although chess is usually considered a game exclusively for the brainiest among us, as it turns out, practicing chess for as little as 4 months can actually have a positive impact on your IQ score. So, don’t be intimidated by thinking that chess is only a game for geniuses, just start practicing and soon you may find yourself becoming the brainiac you used to be intimidated by! What is chess if not a series of constantly changing puzzles that need to be solved? Not only do you need to come up with a solution to the problem at hand, but you also need to be prepared for whatever may come your way when your opponent changes the parameters. You’re looking for a solution to a problem that won’t set you up with a larger problem later on, and that requires a lot of foresight and excellent problem solving skills. 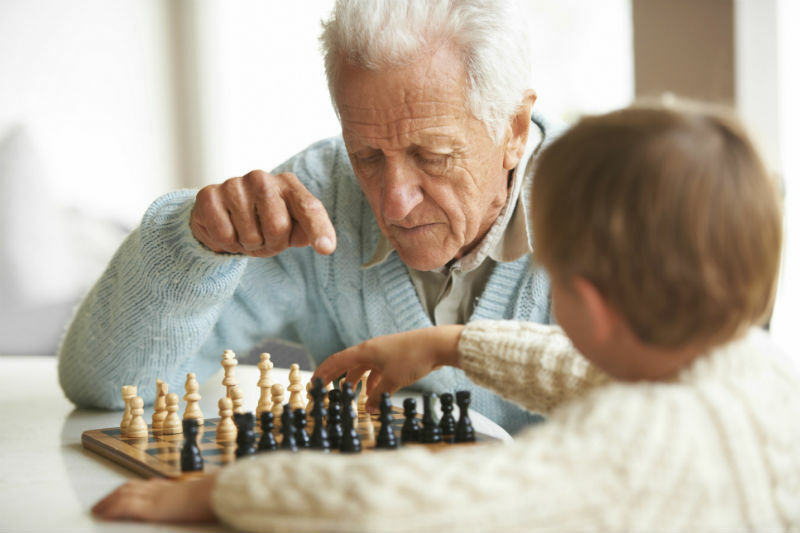 There is evidence to suggest that playing chess can provide a certain amount of protection against degenerative brain diseases such as Alzheimer’s. This is because the brain works like a muscle- the more you use it, the stronger it gets. Giving your brains a healthy workout with a game of chess can help it stay strong and healthy and ward off disease. Patients with schizophrenia at the Center for Cognitive Neuroscience in Bron, France who played chess on a daily basis showed considerable improvement in their condition when compared to similar patients who did not play. They exhibited increased attention, planning, and reasoning abilities and diminished symptoms of the disease. When you’re on the clock and looking for the right move in a particularly tough chess game, there is no time to get distracted or break concentration. Even when it’s not your turn, you need to be focused on the board because your opponent is not required to tell you what move was made when you weren’t looking. Concentration is another one of those skills that gets more natural the more you do it, so a few games of chess will have your capacity for concentration sky high in no time. Memory is a tricky thing, but chess players seem to have a leg up on the rest of the world when it comes to remembering things. This shouldn’t come as much of a surprise, since the game of chess involves a lot of memorization. Not only do you have to constantly remember the rules of the game and how each individual piece moves, but you need to have a variety of standard openings memorized, as well as keeping in mind the playstyle of your opponent and everything you’ve learned from playing them in the past. It’s definitely a memory intensive game, and as a result, the more you play, the more you can remember, both while playing chess and in your day to day life. What an amazing benefit! Again, the stereotype of chess players is often one that’s stuffy, stuck up, and ultra logical. This is not the type of person that we usually consider creative, but the fact is that a single game of chess involves multiple instances of creative problem solving. Playing chess helps your brain practice coming up with original ideas and implementing them, which makes you a more creative person overall. Wait, what? This is a bit of an unexpected one, but it’s true! Playing chess really does increase your reading speed and comprehension skills. You may be wondering how this could happen, since there’s very little reading involved in chess, apart from when your opponent is taking too long and you decide to break out a novel! It’s actually because of the way that chess engages both halves of the brain. The more these two hemispheres work together, the more efficiently the brain can accomplish tasks such as solving chess problems, and reading. 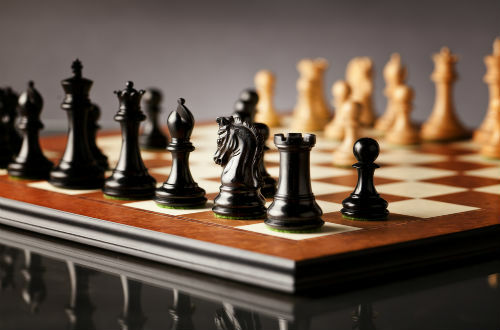 The strengthened connection between the two halves of the brain that comes from playing chess regularly also helps improve reading skills. Dendrites are tree branch like structures within the brain that conduct signals from surrounding neural cells into the neurons to which they are attached. They’re basically like antennae that pick up signals from elsewhere in the brain, and the bigger or more numerous these antennae are, the more signals you’ll be able to pick up and process. This leads to less missed signals and better processing of the signals that are picked up, which in turn will make you more observant and better able to respond quickly and appropriately to the world around you. The prefrontal cortex is the part of the brain that controls planning and foresight and informs a lot of the decisions we make. It is also one of the last parts of the brain to develop fully, often not until a person’s early 20’s. This delayed development is one of the reasons why teenagers often make such strange and sometimes dangerous decisions. Playing chess actually stimulates the prefrontal cortex and encourages its growth. 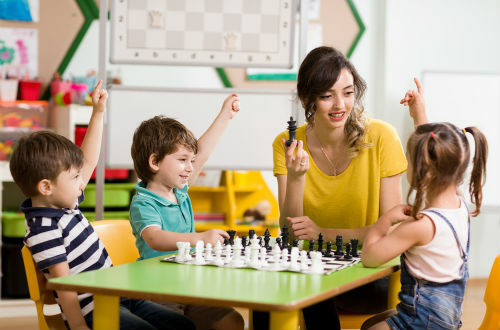 So, children and teenagers who are taught to play chess early and often may just make better, less risky decisions because of their more developed prefrontal cortexes. This benefit alone makes chess one of the best skills you could ever teach to your children to prepare them for the rest of their lives. 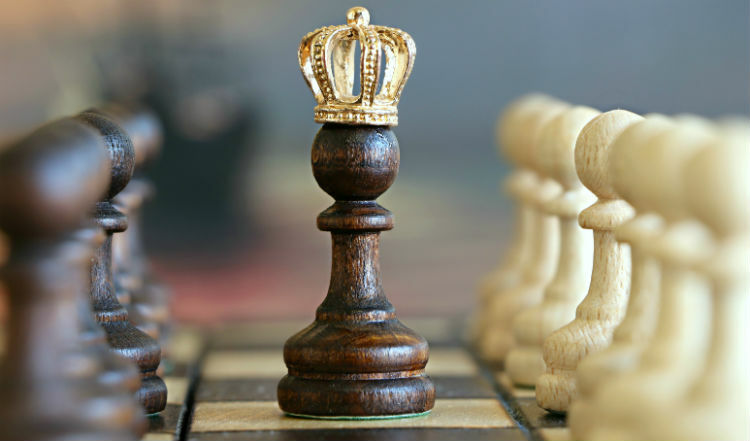 Chess has been around for thousands of years, and though many aspects of its rules and appearance have changed over that time, its mental benefits have persisted. It is a complex game, so complex that computing technology will have to advance in leaps and bounds before it is able to solve the game. It is an intellectual game, one that challenges and stimulates the mind by being easy to learn but incredibly difficult to master. But most of all, it is a game we all love to play.